Hi-Tech Seals supplies Rock Bit balls for mud motors. Rock Bit material is a hardened steel that provides increased wear and deformation characteristics. The material is measured at Rockwell “C” 55-60 with a density of 0.283 lbs/cu. in. 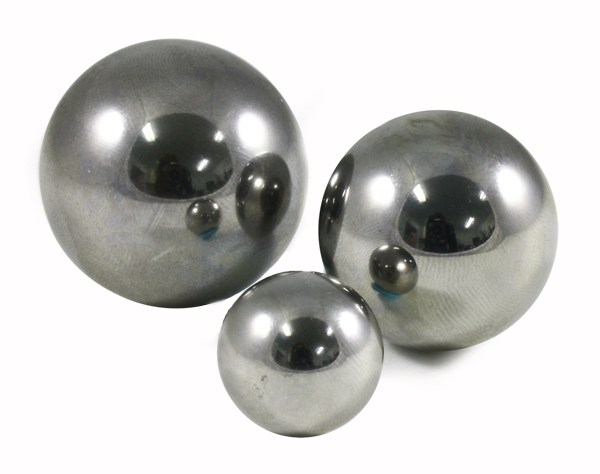 Chrome steel balls are available for chemical injection pumps. Sizes range from 3/32” to 3”. Hi-Tech Seals also supplies plastic balls for hydraulic fracturing. Visit our plastic balls page.